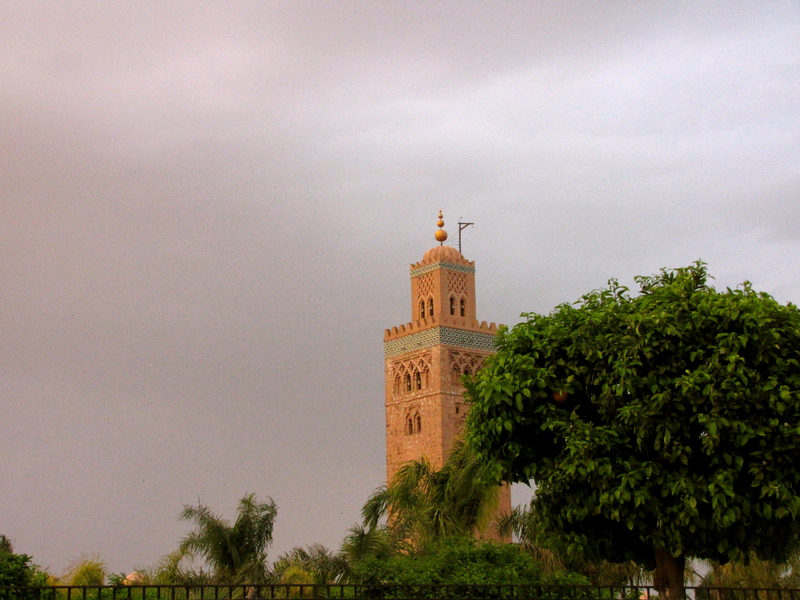 At first I viewed Marrakech as just a big city. It’s full of character and beauty, that’s for sure, but it’s a big city with lots going on. But really, if I am honest, it’s more than just that: it is vibrant and active and full of variety. There are choices there that are not available in other places I visited in Morocco: choices of things to do, places to eat (there’s even McDonald’s! ), stuff to buy, etcetera. There’s even peace and quiet to be found there. So while I say it wasn’t my favorite part of Morocco, it really actually was very enjoyable there. And it’s not a city like any other I’ve known. It’s more like a big town. It’s fairly easy to navigate and I was able to figure out almost always where I was and which direction I needed to go in. 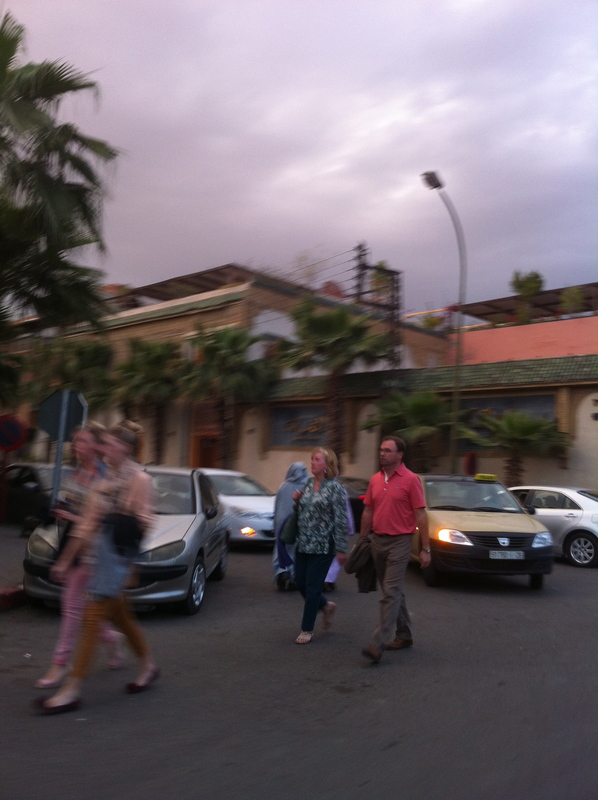 There are a lot of tourists in Marrakech. That’s for sure. And nearly everything there revolves around tourism to some degree. Djemaa el Fna is the main square in the souq inside the medina. It bustles with acrobats, story-tellers, water sellers, dancers and musicians. There are shops all around it and by night food stalls open in the square turning it into a huge busy open-air restaurant. It’s beautiful and interesting but so, so touristy. I found that part rather annoying. So while I was amazed when I looked down at my feet and saw a snake charmer with his snake standing alert just inches away from me, I didn’t stop and take a photo; I just kept walking. When I passed by people in what some tourists might think as authentic native garb worn in the rural areas, I kept walking. I have been to the rural areas and no one dressed like that. So I guess I was a skeptic about the whole image trying to be portrayed. The people are wonderful. Full of life and colorful. But I do not want to think of them as quaint. I don’t want to demean them to that level. They are people like me, living life to its fullest (or trying to), eking out a living and trying to be happy in their day-to-day endeavors. 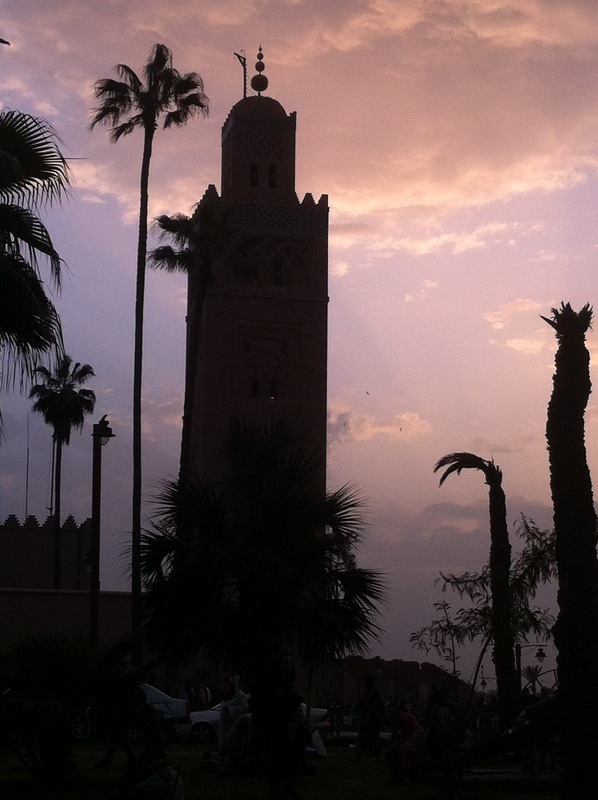 So for all of its touristy reasons, I didn’t like Marrakech. Everyone’s a sales person there. Everyone. 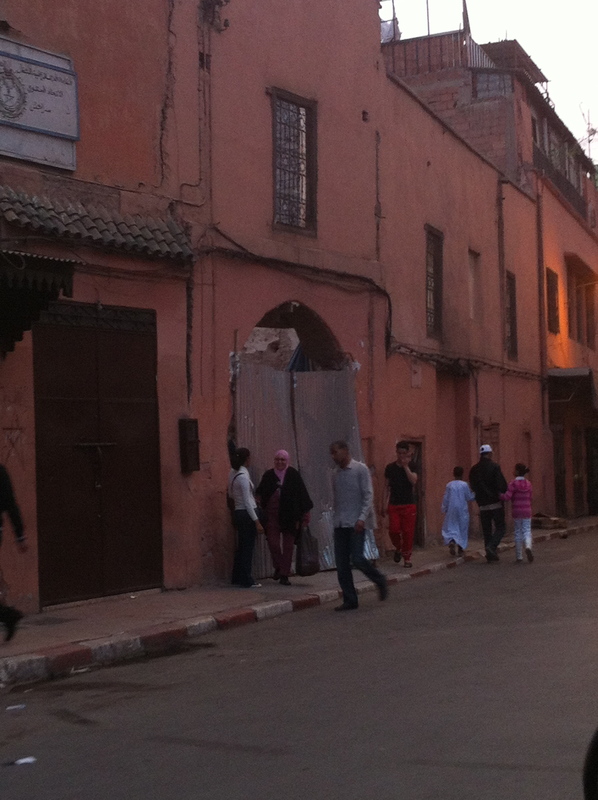 I guess in life we are all selling something, but in Marrakech there was a push to buy-buy-buy. But when I stop and think about people trying to work, to feed their families, to find their own next meal, to live their lives – – then I am much more patient with the whole thing. But I don’t like the feeling that as tourists we have encouraged and trained some of the people to beg or to expect or to ask us for our money. I think something like 1/3 of all the people are unemployed. That’s a lot. And so when I take a minute to put myself in that position, I think I’d be putting my sales skills to work, too! I’d come up with clever ways to get my next dirham; I’d come up with clever stories to tell of sickness, of motorbike accidents, of failed attempts at finding work. On Sunday when we came back from Essaouira, we drove by the Kotubia, the minaret in Marrakech, and saw thousands of Moroccans out for the evening with their families. It was beautiful to see! There were demonstrations of some sort going on (as usual!) and it was exciting to be part of the energy of people standing up for the rights they believe are worth fighting for. It was fun to see lovers gazing in to each others eyes in the park mere inches from someone else doing the same thing. It was great to see and be a part of that energy! And the sun setting around the Kotubia was beautiful, too!